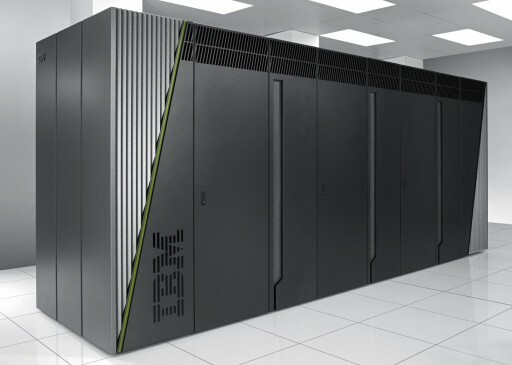 To handle large amounts of data from detailed brain models used in the Blue Brain Project and the Human Brain Project, IBM Research, EPFL, and ETH Zürich are collaborating on a new hybrid memory strategy for supercomputers. The Blue Brain Project, for example, is building detailed models of the rodent brain based on vast amounts of information — incorporating experimental data and a large number of parameters — to describe each neuron and how they connect to each other. The building blocks of the simulation consist of realistic representations of individual neurons, including characteristics like shape, size, and electrical behavior. The Human Brain Project faces the daunting task of providing the technical tools to integrate as much data as possible into detailed models of the human brain by 2023. Estimated at 90 billion neurons, the human brain, compared to that of a mouse, contains roughly 1,000 times more neurons. The Blue Brain Project has acquired a new IBM Blue Gene/Q supercomputer to be installed at CSCS in Lugano, Switzerland. This machine has four times the memory of the supercomputer used by the Blue Brain Project up to now, but this still may not be enough to model the mouse brain at the desired level of detail. Working with the Swiss National Supercomputing Center (CSCS), they are exploring how to combine different types of memory — DRAM, which is standard for computer memory, but loses data almost instantaneously when the power is turned off, and flash memory (used with USB sticks), which can retain information, even without power, and is also less expensive. The researchers plan to boost the supercomputer’s capacity by combining 64 terabytes of DRAM memory with 128 terabytes of flash memory, and is much more affordable.